Let's leave the market square by passing the big church and the big tower called red tower. At the end of the market place we pass the building shown here. It is called market castle. In the market castle you can find the tourist information, a souvenir shop of the University and the so called Halloren Cafe. 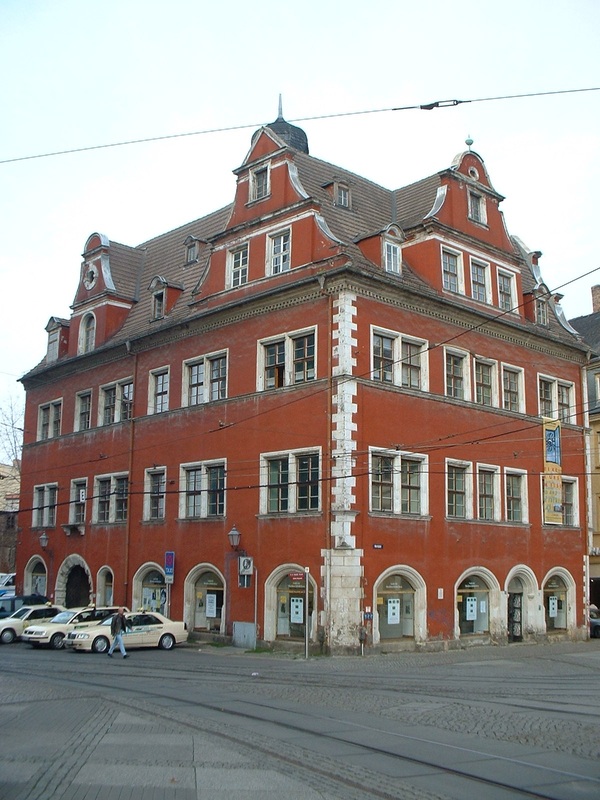 Some time ago, the market castle was used as galery, but nowadays the galery is located at Domplatz. We pass this building on the right, entering the street called Graseweg.